APC Digital Marketing Solutions is an enhanced marketing suite for partners* to incorporate web content syndication, leverage industry relevant email campaigns, and generate leads. 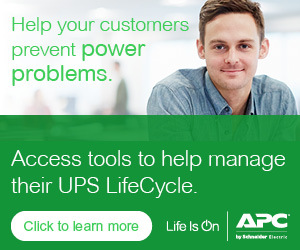 This site is a staple to the APC Channel Partner Program and available to all partners Registered and above! Partners who register for this will receive login instructions to an APC Digital Marketing Solutions Console where they can customize content to reflect their company’s business model, track analytics to see customer engagement, and collect contact information from those who visit the APC Solutions Showcase or receive any of the APC Campaign Center messaging. Already registered? Log in here. Click here for more information & new user registration.